There are several workshops to attend at the conference dealing with different aspects of entrepreneurship. Rochester Institute of Technology’s Albert J. Simone Center for Innovation and Entrepreneurship welcomes the public to its 14thEntrepreneurship Conference at Rochester Institute of Technology on Friday, Oct. 26. 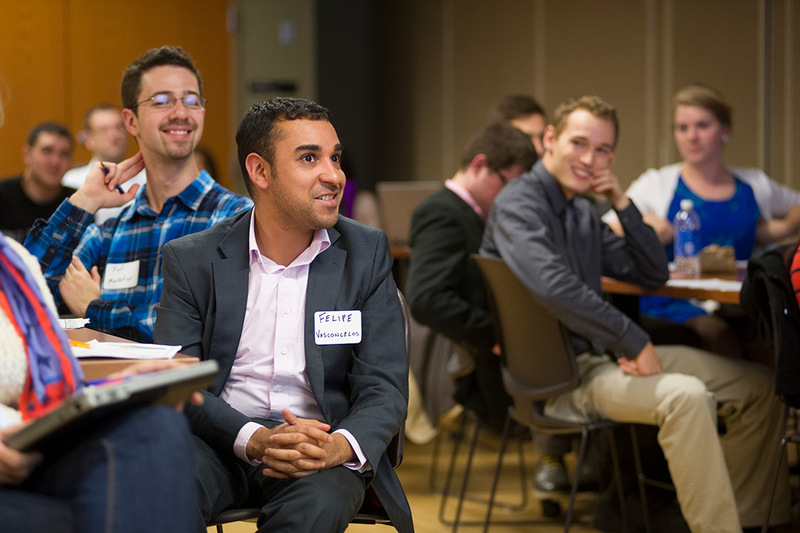 From 8 a.m. to 4 p.m. in the RIT Student Alumni Union and Campus Center, participants can attend informational networking sessions, observe the student Tiger Tank competition and enjoy a keynote address from Mark Gentile, the founder of Odyssey Software. Gentile is a 2010 graduate of RIT’s applied arts and sciences program. In 1996, he founded Odyssey and served as the company’s chairman, president and CEO until the company was acquired by Symantec Corp. Now, he works for Symantec as chief architect for Enterprise Endpoint Security Productions. In addition to workshop sessions, attendees can also watch RIT students participate in the Tiger Tank competition semi-finals at 9:15 a.m. in Ingle Auditorium, SAU. Tiger Tank allows students to pitch their business ideas to a panel of judges in hopes of winning a cash prize to help fund their ideas. In this round of the competition, 30 teams will present 90-second elevator pitches. Five of them will be chosen to compete in the finals on Monday, Nov. 5. During the conference, there will be several workshops discussing entrepreneurship including “Social Media and Marketing in Entrepreneurial Ventures,” “Software Entrepreneurship,” “Technology Commercialization,” “Funding your Entrepreneurial Venture,” “Digital Entrepreneurship,” “Intellectual Property and the Entrepreneur,” “Entrepreneurship for Designers – How to Jump In,” and others. This event is sponsored by RIT’s Simone Center for Innovation and Entrepreneurship and RIT’s Saunders College of Business and is open to the public. For more information about the conference and to register to attend, go to https://www.rit.edu/cob/entconf/.